As a niche HR talent marketplace, Noble House is helping independent HR consultants find short- and long-term assignments in companies. Times are changing. A report by Paypal suggests that on an average, Indian freelancers earn close to Rs 20 lakh— the incomes range from less than Rs 2.5 lakh to over Rs 50 lakh—annually. 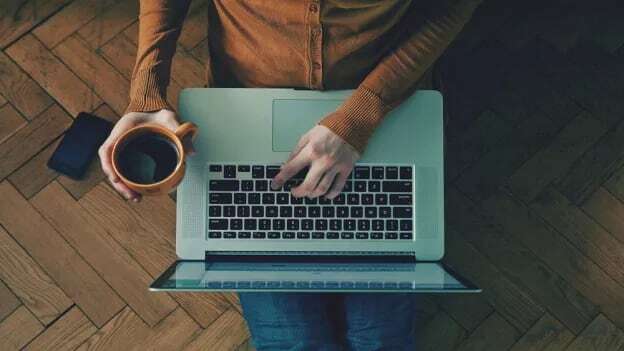 With the rise of the gig economy, the corporate sector is witnessing the fact that nearly 20% of their workforce is now composed of freelancers or part-timers. 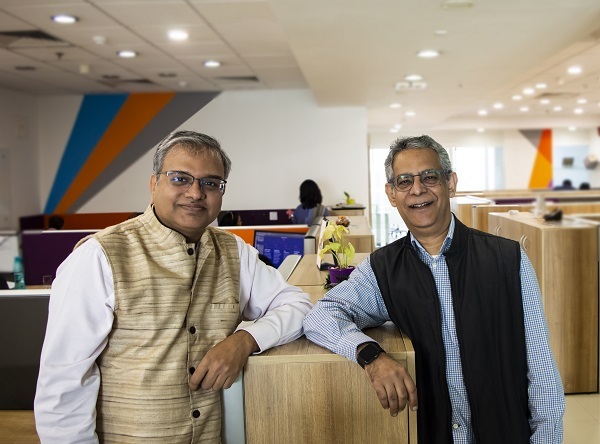 It is this surge in gig economy that prompted Sumer Datta (former MD - Aon Hewitt, Asia Pacific) and Sanjay Lakhotia (former Head of Operations - Aon Hewitt, Asia Pacific) to build an HR talent that aligns itself with the idea of the gig economy. Noble House was first co-founded by Sumer Datta as an HR consulting outfit in 1988, which facilitated Hewitt's entry into the Indian market through a joint venture and later became a wholly owned subsidiary of Hewitt Associates. Hewitt was then bought over by AON. The idea of launching a marketplace for gig workers in HR came to Sumer and Sanjay last year. Today, a lot of people are looking to freelance. Similarly, companies are looking for a model where they could find very specialist advice from consultants when needed. The duo wondered what could be done to create an opportunity for people who are in a very fragmented space. “Can we organize them and create a platform where companies can put assignments on a platform and people can bid for them and can find each other through some process?”, they thought. And that’s how in September 2017, Noble House as a niche HR talent marketplace, that helps independent consultants find short- and long-term assignments as per their skill set, was founded. 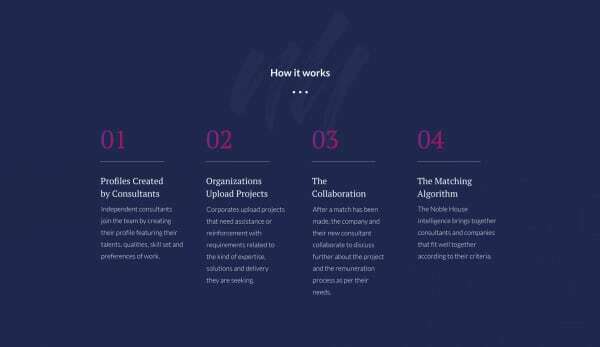 The platform asks as a marketplace wherein companies put in their assignments and list the criteria they are looking for-such as the budget, the assignment description, location of the assignment, skill areas they are looking for in the person. The assignments could be of various kinds-full time assignments where an independent consultant may have to go to office five days a week or could be a part-time assignment where the consultant needs to go just once a week. Similarly, the assignment could even be a fixed scope assignment-say designing an HR policy manual. Once the company gives this assignment, it flashes on to the associate dashboard. The consultant then can apply to the assignments relevant to them. The search algorithm tries to do a match between the two so that they don’t have to search all over. One can also refer a friend if one thinks he fits better for that role. Once the assignment is replied to, the company gets to see the people who have replied to and can select and reject them, or call the relevant ones for an interview. Noble House does all the contracting and the paperwork on behalf of the company. Based on the process and the time sheet, it raises an invoice every month, which is approved by the company. The platform has onboarded some 760 consultants till date, with about 35-40 assignments across industries uploaded. Their clients include international consulting companies, startups, growth stage companies, and Indian corporate houses among others. Sanjay reveals that over 65% of these ICs have above 10 years of experience in HR, with the rest averaging with 3-5 years of experience. The platform does not have freshers. Sanjay explains this is because people who have just passed out will find a job. However, its people who have hit a life event who will opt out of the permanent job cycle and want to freelance. Or with career progression setting in, you will either burn out or want more flexibility or want to become an entrepreneur. That’s when most move out to become a freelancer. The platform monetizes from both the companies and consultants, charging them 5% each. In January this year, it raised angel funding to the tune of SGD1 Mn from angels, which included CXOs of various companies both from India and Singapore. In a year, Sanjay hopes the platform to rope in more than 5000 people on the platform. The firm is also looking to go global by April next year, eyeing markets closer to home in the Middle East and South East Asia. But with so many marketplaces for freelancers coming up, what becomes Noble House’s selling point? Sanjay believes the fact that it is a very niche boutique HR focused marketplace is one big differentiator. The second differentiator is that Noble House is also enabling consultants to do other things by assisting them with technology tools. So if a consultant wants to run a 360 survey or an engagement survey but won’t have the technology which a large consulting company will have to run it, he can do it through curated technology tools on the platform. Similarly, the platform is also trying to create templates and methodologies for these ICs. In a large organization, you will always have templates, technologies, and benchmarks to deliver good quality assignments. The platform is creating the same environment for these ICs. Another differentiator is the fact that independent consultants can together co-opt with other consultants to bid for large assignments together which might not be possible for an individual to deliver alone. Hence the platform allows them to deliver as a consortium. This can help companies deliver multi-location assignments. Then there is Noble Assist- for these independent HR consultants- which provides a sort of back-end team available to these consultants to help them with everything from writing proposals to presentations for final deliverables to secondary research. This typically is all the help that is available in a consulting firm in the form of a junior resource. Sanjay believes that all of these things are value-adds that make Noble House stand out in the market against similar players in the consulting place like Flexing It, among others. The HR community is slowly accepting the rise of gig workers as workplaces face their own set of challenges. For instance, productivity is a challenge every organization is facing today. “Productivity in the permanent workforce is not at a pace which we can say is very aggressive at this point in time,” explains Sanjay. With the gig worker at least you have an advantage that you give them a time, a task, and a cost. And you can track all of this together. With an employee, it’s a little fuzzier. Hence as companies look to increasing efficiency, reducing their workforce size and find deeper expertise in certain areas, gig seems an attractive option. Also, with HR becoming more strategic in nature, each element of HR has also become very specialized. Recruitment, compensation can no longer be done by anyone as they have become specialized. Hence companies who cannot hire experts in each of these areas are opening up to getting them as advisors for short bursts. These advisors improve the process and then the teams can continue to run them. The model also works for plugging skill gaps. So if an employee has gone on a maternity leave and the position cannot be left open for that much time, one can hire for that short period to fill that gap rather than having to let that position be vacant. Thus companies are realizing that rather than waiting and not having an option, bringing in an outside consultant is an option. Of course, that is not to say that the gig economy suffers from its own challenges. There are challenges in data security, confidentiality, information security, and giving people access to sensitive data. Then there is the issue of a culture fit- whether the gig worker will understand a company’s culture, the people, and processes before giving advice. Because otherwise, it is not going to be relevant. Another big challenge is around the assurance of quality-how does one know if someone will be a good consultant? Because the CV does not tell me everything. Therefore the challenge in front of Noble House is how to make this process less effort for the company to find the right people and for the people to find the right company and the projects. But overall, Sanjay believes there is no looking back from where the gig economy is right now. With consolidation happening in many sectors, and newer sectors and jobs coming up simultaneously, a lot of people are moving out of their current jobs and taking recourse to freelancing. Also with newer jobs coming up, companies do not have the nimbleness to create experts very quickly. But freelancers will be very quick to pick up new skills and follow the trend. Therein lies the play for marketplaces like Noble House to become a matchmaker for these two portions of the economy. How successful will they be able to ride this trend amidst increasing competition is something we will be looking out for.